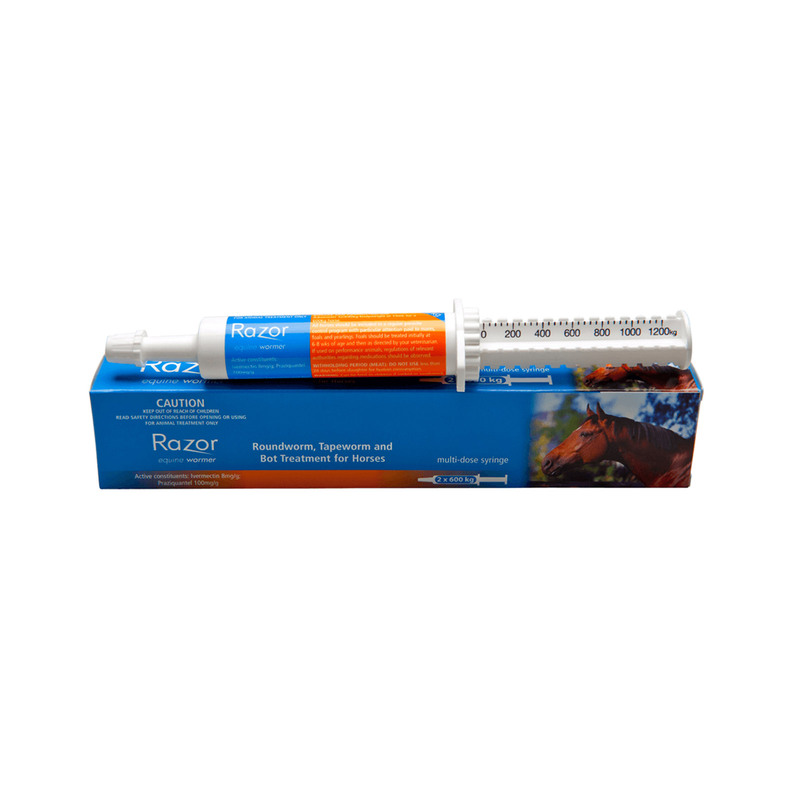 Razor Equine Wormer is a broad-spectrum worming paste that is 100% effective in treating all major intestinal worms. The oral paste treats Large strongyles (Strongylus vulgaris, Strongylus edentatus, Strongylus equinus and Triodontophorus spp. ), Small strongyles including benzimidazole resistant strains (Cyathostomum spp., Cylicocyclus spp., Cylicostephanus spp., Cylicodontophorus spp., Gyalocephalus spp. ), Ascarids (Parascaris equorum),Pinworms (Oxyuris equi), Hairworms (Trichostrongylus axei), Large mouthed stomach worms (Habronema muscae), Lungworms (Dictyocaulus arnfieldi), Neck and intestinal threadworms (Onchocerca spp., Strongyloides westeri), All three species of tapeworms (Anoplocephala perfoliata, Anoplocephala magna, Paranoplocephala mammillana) and All three species of bots (Gasterophilus spp.). The oral treatment also prevents skin lesions and summer sores. It is safe and easy to dose horses. This paste kills all major types of worms. I’ve administered this paste to both my horses. One had tapeworms while the other was infected with pinworms. It worked really well on both. I’m fairly satisfied with this product.